Newfoundlands aren’t bred for Texas but they are Texas-sized and Buddy was not only big, he was gentle, too. He was born a rescue dog who ended up in a rescue shelter, destined, it seemed, for a life both troubled and blessed. 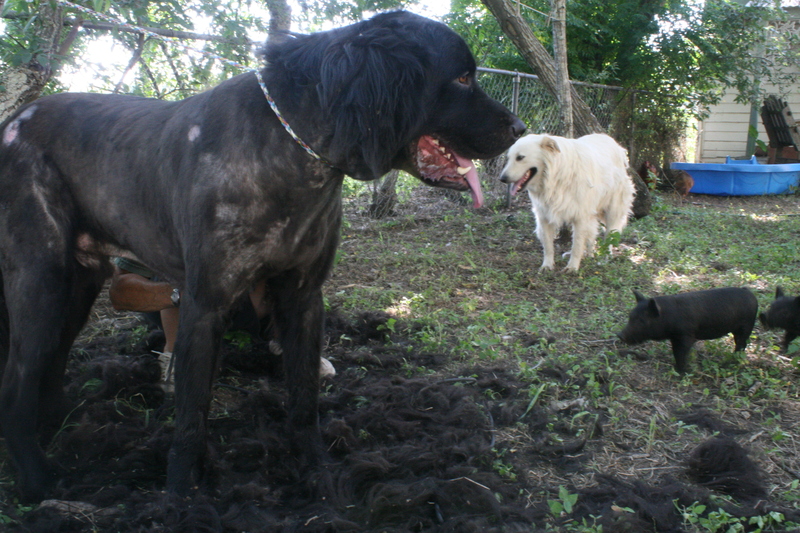 When Erin brought Buddy to the farm he was thin and mangy but we accepted him just the same – his pound-given name, as well as his breed’s reputation for saving fisherman fallen overboard in icy waters. We had recently bought river-front property and Erin was comforted by the idea that Bud could ferry our floundering children from the warm yet swift currents of the Colorado. Bud never was very good at navigating the river but he excelled in his other traits. He was so gentle that kids could crawl over him like pups and he would lie there, still as a rug, yawning with delight. And he was so big that just the sight of him stepping out of the farmhouse would send strangers back inside their cars. 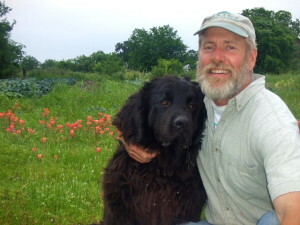 Yes, Bud was our Clifford, 150 pounds of love — clumsy, overheated, unconditional love. Which is why it was so hard to bury him this morning. There we were, the four us down by the river, standing over his grave instead of heading into school, traffic, and record-breaking heat. Buddy would have hated today as he did most days in Texas. Yet he never complained. He would find the coolest spot on the farm, always in our path, of course, and wait it out. Emerging in the coolness of night, he loved to chase skunks – spray and all – or dig up pig parts and bring them tail-wagging proud into the kitchen. Whether Buddy stumbled into a water mocassin or mistook a rattler for a skunk, we’ll never know. He returned around 9, the black shagging mass of him lumbering from the pitch dark river bottom with what appeared to be a cut above his eye. We wiped the blood off and gave him water and left it at that. An hour later I returned to the kitchen, to the sound of heavy panting. I tried to wipe his eye but it was swallowed up, along with the rest of his face, by a monstrous swelling that could mean only one thing. I called Erin, who was still at the city farm. Go get Benadryl, she said. I drove into Bastrop and returned with a bottle and syringe. Getting it in Buddy’s mouth was nightmarish. His head was so heavy by now, his mouth so thick and salivating, he nearly choked whenever we lifted it up. We got a few doses in before he started biting us. Erin, meanwhile, had called the only emergency vet open on a Sunday night. Yes, they could give him anti-venom – if we knew what kind of snake it was. That uncertainly, plus getting him in the van, driving 45 minutes to Austin and paying a thousand dollars for an uncertain outcome was staking up against Buddy’s favor. Fighting back guilt and resignation, I checked on Buddy throughout the night. I dreaded going downstairs. The sound of his fierce watery breathing was almost unbearable, as if he had sunken to the bottom of that cold dark ocean of his genes, beyond reach yet right beside me. It was dawn when I woke the kids up. Buddy lay sprawled on the kitchen floor. His breathing had slowed. He whimpered softly when the spasms came. He had hung on through the night, as if waiting until we could call his name, rub his head, kneel at his side in the morning light until the last breath. Buddy had survived two car accidents, chronic skin and ear infections, being stepped on and cursed at and made fun of. He bore it all without complaint, gentle to the end. Erin drove up a few minutes later. Tears all the way around. Then shifting to the task at hand. Digging a hole big enough for our clumsy Clifford, in soil that had not seen rain since spring. We chose a site close to the river he loved so much. It was the river that had brought him into our lives. And it was the river that had taken him out of it. If needed, God forbid, Buddy could never have rescued us. And today we were unable to rescue him. We did it once, that first time we laid eyes on him. And again years later when he lay crumpled and broken by the roadside. But not today. What Bud did do — and do so well — was give us his love. Big, overheated, unconditional love. We did our best to do the same. Cuts, calluses, and cracks. Skin the color of sandy loam. In later years, joints like walnuts, fingers like roots. For farmers, the hands have it. They are an open book, field notes written in flesh, living proof whether the farmer farms for fun or profit. After ten years of farming (for profit, if you can call it that), these hands seem natural to me, as much a part of the landscape as bark on old trees. The nurse at the urgent care center thought otherwise. 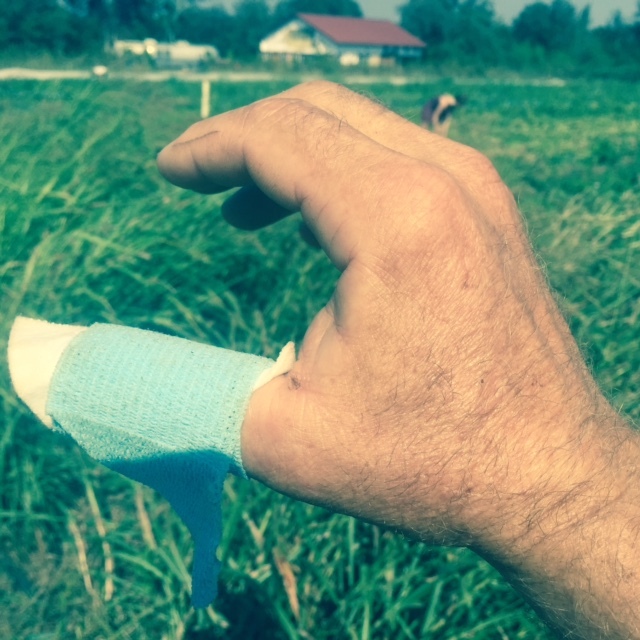 Having finished stitching up my right thumb, the doc told her to clean me up. With gauze and alcohol, she began wiping blood and dirt off my hand. “Is this cut from the accident?” she asked, as she scrubbed my forefinger. Didn’t she understand? This was farming. Something slips. Bites. Falls. You curse. Bleeding stops. You move on. Except today it wouldn’t stop. The way she said it, like I was reckless — or stupid — set me on edge. I studied my hand, spread out on the blue pad like a dried up starfish. Then hers beside it. So unnaturally white and soft and sterile, not unlike the gauze pressed against her flawless thumb. Suddenly self-conscious, I noticed more cuts – the mud on my boots, the rip on my blood-stained shirt, the sour smell of spent grain I fed the pigs that morning. Should I have changed before I came here? Surely not. I was bleeding badly. I wondered why he choose that metaphor. Was he trying to relate to me? Did I have pig manure on my jeans? Or were all the pigs I have raised and stuck and eaten finally getting back at me? Six months ago, one of those pigs brought Steve, my daughter’s boyfriend, to this very clinic. A part-wild boar with a bad attitude, he had hit him from behind, his tusk tearing Steve’s pant leg and a hunk of flesh deep enough to require eight stitches. The entire staff came in to have a look. At this strong, handsome farm hand bleeding at the thigh. Afterward, I teased him. Called him a lucky Son of Adonis, after the Greek god who died from a boar wound…to the thigh. Now here I was, his boss, bleeding too. Only none of the nurses came to gawk. My story was just one more embarrassment. I could have cut myself when we skinned that boar. Or when I extracted his tusks and presented them to Steve for his birthday the night before last. But no, just a broken cup hidden in the suds of liquid Dove. Yes, I cut myself washing dishes. Steve, a Minnesota native, has gotten lots of mileage from his cut. Went to Texas and survived a 400-pound hog attack, he tells his buddies. He’ll carry that scar around for life. Proudly. As for mine? Who knows where it came from. That page in the open book must have fallen out. How do you say goodbye to a farm that made a life-long dream come true? How do you let go of land that has fed thousands of Austin families? To a house that was built before cars? To a barn built before tractors? To a slice of Austin history – weird and wonderful — that is threatened on all sides? And how do you thank all the people who helped give this old farm a new life? Who planted their own dreams here, too? Who left with good food – for body and thought – and returned with goodwill and endless support? These are the difficult questions our family is facing as we prepare for what could be Green Gate Farms’ last season here at the City Farm. This spring, our former landlord – a corporate partnership of two local families who bought the 250-acre farm from Mrs. Carl Bergstrom in 1983 – sold the High Meadows/Hidden Valley complex to an out-of-town developer. Roberts Communities, based in Scottsdale, AZ, plans to add 500 more manufactured homes and 120 RV lots to the remaining undeveloped parcels here, including the 5-acre homestead where we have lived and farmed since 2006. The Gate is Always Open at Green Gate Farms. That was our motto, our radical method. Open the farm to everyone and see what magic happens in the fresh mix-up of people and ideas, work and play, city and country. How open-armed have they come here to the urban fringe, the gritty, intensified edge between urban and rural. And how generously they have helped fulfill our dreams: of inspiring the next generation of farmers; of exciting the palates of food lovers; of providing healthy choices to the underserved; of awakening the passions and imaginations of thousand of schoolchildren hungry for a meaningful and authentic engagement with nature. If you want to know what an oasis in a food desert looks like, zoom out on Google Maps and see how precariously 8310 Canoga Avenue is rooted in this rising sea of urban sprawl. What was once the Bergstrom place – one of the last remaining Swedish farms built along Decker Lane a century ago – has been transformed into a smash-up of RV lots, mobile homes, storage units, shipping yards and light industry. Despite wear and neglect, the farmhouse stands intact and original. The same is true with the beloved two-story red barn where Captain John Bergstrom played with his cousins before his fateful entry into World War II. Scott Roberts, CEO of Roberts Communities, says the barn must be torn down, as well as the surrounding out-buildings. The farm house will stay, but repurposed as a gift house or sales office. When we had to move out of it in August, more than a century of providing shelter for farmers, artists, musicians, and filmmakers came to an untimely end. During the past decade leasing this certified organic farm, we’ve watched the tide of development swallow up hundreds of acres of surrounding woods and farmland. Austin desperately needs affordable housing. And it needs affordable local food, too. Are these two needs compatible in this city? Can they live together and thrive or is this concept just an urban planner’s paper dream? We believe a peaceful co-existence is not only possible but necessary for a city to keep its soul. So do the city’s leaders. Access to local food ranks at the top of importance for the Imagine Austin blueprint that will guide the city during this unnatural phase of rampant growth. We believe, too, in this very unAmerican idea that money can’t buy everything. That no amount of Greenbacks can replace what is lost when an acre of prime farmland gets paved over, it’s history, along with its vital ecology, buried in a concrete grave. I was reminded of this fact recently while mowing a lush field and finding an old cap that had flown off my head while I was running from angry bees. I loved this cap – its dark shade of green set against the logo of Kings Canyon National Park. Two summers ago I bought it during a family visit to California. We were visiting friends struggling to farm amid California’s record drought and took a side trip to Sequoia National Park. There, in the birthplace of the modern conservation movement, our kids came face to face with those living giants. We owe this gift to John Muir, Theodore Roosevelt and the Sierra Club, because they cared enough to save the trees before the captains of industry cut the last ones down. Can this historic farm site be saved? My own experience tells me it can. I grew up on a 100-acre farm steeped in early Pennsylvania history. When my parents divorced in 1969, they sold it to a first generation German family who spent the next 30 years restoring and preserving the aging farmhouse and outbuildings. Before they died and passed it on to their children, they made an enduring gift to everyone who loved that farm: they sold the development rights to a land trust – the first of its kind in Berks County. Today, uninspired housing tracts blanket the Oley Valley, but my old farm stands as undivided as it was three centuries ago when Daniel Boone’s family settled in a cabin next door. All my life, I’ve witnessed our nation’s growing population march mindlessly into the surrounding landscape. Philly in ‘70s. Atlanta in the ‘80s and ‘90s. Austin in the new millennium. Progress, we say. Always more land. The American mythology. The Texas ideology. They said that about the red woods, too. 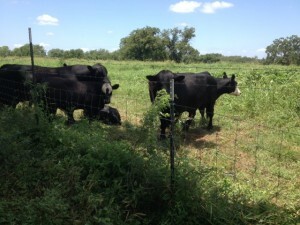 Shouldn’t we celebrate Austin’s agrarian history? Honor these sacred places and ensure they are shared? Don’t we want living reminders of how we got here and where we might need to go. Of the craftsmanship, stewardship, and ingenuity that has weathered the march of time? Like this farm’s hand-dug wells and cisterns that still hold water. Like the iconic windmill that still turns with each breath of wind. A Longhorn Dad, I’m inspired by our university’s celebrated motto – “What starts here changes the world.” But as an urban farmer, I have a more modest vision. The healthy food and good ideas that start here on this modest patch of ground aren’t meant to change the world. But if they can change a family, a neighborhood, a community – that is good enough for me. We are encouraged to have a mayor, a sustainable food policy board, and outspoken environmentalists who say they want to conserve open spaces and restore health to our ailing food deserts. So let it start here before it’s too late. The conversations. The compromises. The policies that promote smart growth by saving green spaces. When the green is gone, the green gates must close. Let’s make sure our green gates stay open. Kay and her cowboys had already separated the heifers by the time I pulled onto Cross Prairie Road. The morning was still early and although it would surpass 100 degrees later in the day, the air down in the glen was still cool. I backed the trailer to the squeeze shoot and the two men, weathered from years of working cattle, slipped into the holding pen, clutching long prods and measuring their steps as they approached the young bulls. The Brangus heifers were jet black, muscular, and blowing hot air through their wet nostrils. These were Kay’s babies, raised almost like pets from the day they were born. A year of hauling hay, moving them to new pastures, watering and keeping a watchful eye – all the caring was abruptly over and these boys knew it. They were scared at first. Then they were angry. Yes, this was no time to linger. “I told him he was going to the cattle auction,” Kay joked. Like most Bastrop residents, Kay had to come to terms with the chard landscape and make a decision. To rebuild or move. To quit farming or trust that the drought would end soon. And now nearly two years later that black ghost still returned on days like today when a hot dry wind blew up in the afternoons. When suddenly yesterday was today and flames were rolling down like a wave and how in those precious few minutes before fleeing empty handed she ran to the pasture and opened the gate. “You want to say a last goodbye,” I said half teasingly as I pulled the trailer past her. The ride to Smithville Meat Locker is only 10 miles. In 20 minutes, I would be pulling to the rear of the yellow brick building, past stacks of split oak and the smokehouse. Everything in reverse now – backing up to the squeeze shoot, a sticky tag with the number 12 slapped on the rump, the squeaky trailer door reopened, and all 800 pounds of flesh swishing past me until another rusty gate closed. Even before I had pulled away there was the switching sound of the prod and the Heh Heh Heh of a man’s voice. A heavy door shut and all quiet outside. Just the smell of smoked beef floating through the shade trees and drawing my dog’s nose to the window. I’m telling you the story of this beef because I want you to prepare it as best you can. This meat deserves no less. With those first delicious bites, close your eyes and listen to the sound of rain, of teeth ripping grass – that greenest of grass that covered the blackened fields. Think for a moment of the joy and sadness this animal brought its owners. And how all across this land, so profoundly diminished of its herds, the ranchers and the cowboys and their cattle need to be remembered.